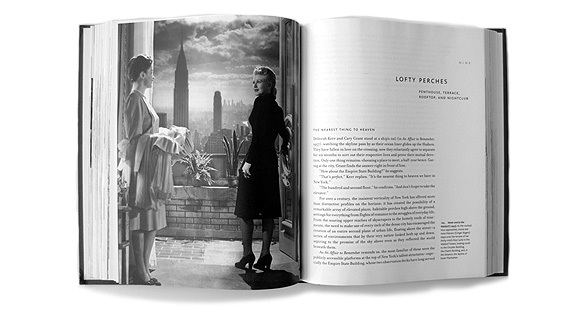 Black and white photographs throughout, with a good balance of information about New York and the films made there. As James Sanders shows in this deeply original work, the dream city of the movies may hold the secret to the allure and excitement of the actual place - Here are the cocktail parties and power lunches, the subway chases and opening nights, the playground rumbles and rooftop romances. Here is an invented Gotham, a place designed specifically for action, drama, and adventure, a city of bright avenues and mysterious side streets, of soaring towers and intimate corners, where remarkable people do exciting, amusing, romantic, scary things. 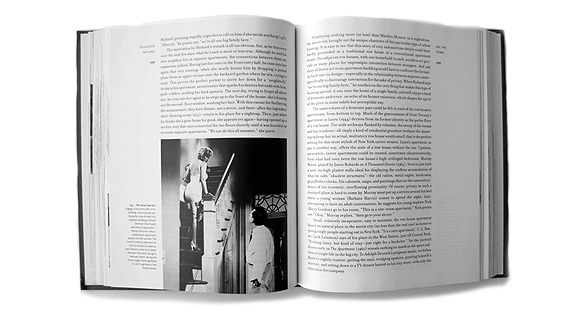 Sanders takes us from the tenement to the penthouse, from New York to Hollywood and back again, from 1896 to the present, all the while showing how the real and mythic cities reflected, changed, and taught each other. Black and white photographs are framed by neatly worded content, expressing opinions and detailed knowledge. Many of the images are from Sanders's decade-long research in studio archives and private collections around the country. 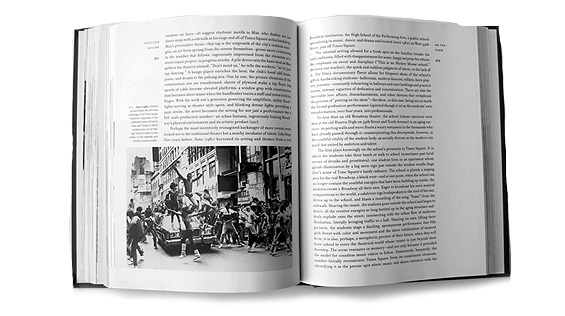 This book, which studies the relationship of the city and film is much like “Scenes from the City” as it celebrates the extraordinary heritage of location filmmaking in America’s largest and most cinematic city. 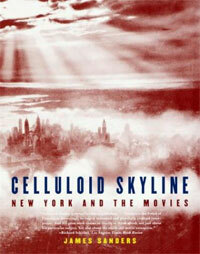 otsoNY Comments: Celluloid Skyline is full on content and offers the reader so much more than many of the New York film location books, combining historical substance with references to the early era of films right up until the late 1990’s, this publication is an essential coffee-table addition. Unfortunately, where is does fall short is in the area of referencing actual geographic film locations. It will mention a film title and include an image, but often leave out the all-important location information, opting only to give reference to an district of Manhattan. Although it can be forgiven for this, as it was produced long before the World Wide Web was littered with film location references and on-set images. The author’s only source of information came from old newspaper articles, production files and photographs.